Proposed changes to the tax code may succeed in redistributing income, writes Philip Cross, but they will fail to promote long-term economic growth. The Department of Finance recently floated proposals to toughen up the tax code applying to small businesses in Canada, especially for professionals like doctors. It would crack down on sprinkling incomes among family members, tax the savings held within small corporations and increase their capital gains taxes. This raises a number of troubling questions. Why propose this now, just when the prospect of renegotiating NAFTA and the actions of left-wing governments in BC, Alberta and Ontario are increasing the uncertainty of operating a business in Canada? How are policies formulated these days in Ottawa, where consultation with academics obsessed with income redistribution takes priority over the business community? Why would we want to discourage savings of any type in a society that chronically saves too little? Why the focus on this issue when a bigger inequity is taxing private sector workers, many without any pension plan, to subsidize the pensions of public sector workers, who already enjoy unparalleled income and leave benefits and job security? Most importantly, how will these tax changes improve economic growth in an era of secular stagnation? There are eerie parallels between the current proposed changes to small business taxes and the failed budget of 1981. Then the federal government was so absorbed in the final negotiations over repatriating the Constitution in 1981 that it did not provide proper adult supervision to finance bureaucrats, who advanced ideas that appealed to the superficial rationalism of the civil service but ignored how people and businesses operated in the real world. That budget faithfully followed the “broaden the base, lower the rate” mantra beloved by economists in an attempt to make the income-tax system more progressive and lower taxes for the middle class. The result was political disaster, on a par with the creation of the GST, another example of seemingly logic-based policymaking by a tone-deaf bureaucracy. The uproar from people and firms losing their tax breaks forced Finance Minister Allan MacEachen to reinstate the previous tax structure, warts and all. Today, the government’s all-consuming obsession with the NAFTA renegotiation allowed the Department of Finance the opportunity to float proposals that also seem logical and reasonable on paper but have provoked an intense backlash in the business community. Tax regimes are not founded in rationality alone but on a mixture of what taxpayers regard as fair along with the practical necessity of generating revenues. Michael Wolfson of the University of Ottawa, who helped develop these proposals, recently defended them in the Globe and Mail. Wolfson indulges an academic view of the world where transitions to an idyllic future are made instantaneously and without transitional costs or political frictions. He speculates that doctors could pay for their higher income taxes by charging higher gross incomes, leaving no change in their net incomes and the government deficit. If nothing fundamentally changes, why go to all the bother? However, given the recent history of acrimonious negotiations between doctor associations and provincial governments, there is no reason for doctors to assume they will be able to negotiate higher gross incomes. Ontario doctors have worked without a contract for three years during which the government imposed a pay cut. Advice to politicians that they should grant doctors huge raises in gross pay should be accompanied by a blindfold and a cigarette. Since doctor incomes undoubtedly would not rise enough to offset higher taxes, they have more incentive to move to richer pastures. Statcan years ago found that the 1990s brain drain to the U.S. was most pronounced for doctors, with the equivalent of one-quarter of all doctor graduates in Canada emigrating. We don’t want that to encourage another exodus of health care professionals just as our aging population needs more doctors. The hypocrisy of these proposals coming from a government department cannot be ignored. The most glaring inequity in the fiscal system is the huge and growing unfairness of asking private sector workers, often without any pension plan, to pay taxes to subsidize the pensions of public sector workers. 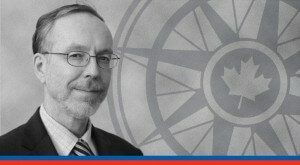 But since Wolfson (a long-time employee of Statistics Canada) and Department of Finance officials benefit handsomely from the current system, don’t expect them to propose changes to pensions any time soon. Instead we have the civil service, with its gold-plated pensions subsidized by taxpayers in the private sector, attacking one of the few viable private sector methods to provide for their own savings and pensions. The Department of Finance does not assess the macroeconomic impact of its proposed tax changes. The likely effect would be either offsetting increases to prices and fees or a reduction of disposable incomes available for spending, saving and investment. How does that stimulate economic growth? People who advocate income redistribution never have a convincing explanation of how economies grow in the long-term (education is not the answer; if it explained growth, Russia and its former Communist satellites would be rich). Until redistributionists come up with something other than their bedtime story that money grows on trees and needs to be redistributed from the big, bad rich wolf, they should be ignored.